In developing countries around the world, small business owners with dreams of doing more for their families and communities find themselves in this impossible situation. This International Development Week, World Vision salutes small business people all over the world. Here's one way that Canadians can help their ventures grow. "Pull yourself up by your bootstraps" refers to the imagined feat of yanking yourself off the ground -- by your own efforts alone. There's nothing to lean on, and no one to help you stand. 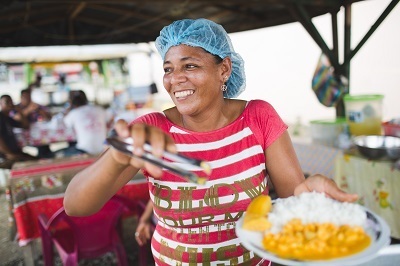 "If you've ever visited a developing country and gone to the city markets, you've likely seen dozens of these small businesses," says World Vision Canada's Josh Folkema. 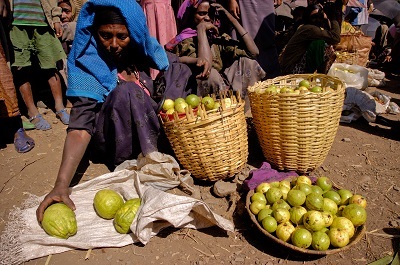 "People are selling everything you can imagine: from fruit, to bread to t-shirts." They may not look like much, these stalls in the market or at the side of the road. But in families throughout the developing world, they keep children alive and food on the table. Josh Folkema would like to see a world where hard-working families can do more than simply exist. He sees small and growing businesses as a big part of that. The development worker with World Vision Canada leads a team which explores new ways to grow investments in communities overseas. He wants to see small businesses thrive, grow, and employ more people. But trying to grow a company without capital is a fruitless enterprise. 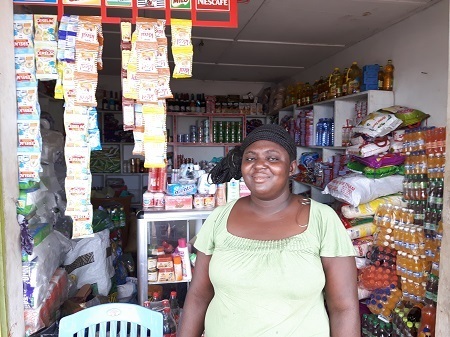 Josh uses the example of a small business owner in Ghana, who might have already received a small micro-finance loan of a few hundred dollars. Using those funds, she buys a bit of inventory: a crate of tomatoes, a few t-shirts and some soft drinks. She opens up a kiosk to sell the items. "Most of her earnings will provide for her family's needs," Josh explains. "She might save a small amount, and use the rest to replenish her supplies." But without a larger surplus of funds, the owner can't make the jump from kiosk to grocery store. And she can't expand her workforce, creating more jobs. Without enough capital, making the jump from roadside stall to burgeoning business is almost as difficult as pulling yourself up by your boot straps. In development economics, this sea of small and middle-sized businesses is known as the 'missing middle'. They're caught between microloans and bank loans, unable to reach the next stage of development. The potential of these companies is clear; they play a critical role in economies around the world, including Canada's. But their challenges are equally well-recognized -- especially in the developing world, where families have little collateral to speak of, and no written business records. "Many small business owners have little collateral, patchy records, and non-existent credit histories," noted The Economist recently. "It takes time for customers to arrive or crops to grow." Many banks would rather lend to established clients, or to governments. For decades, World Vision Canada has been helping business people to their feet, by providing training, supplies and small loans. But micro-credit only goes so far. Now, the international aid and development agency is gearing up to launch a new product for Canadian accredited investors: The 'Small and Growing Business Fund'. "We're hearing that accredited investors here in Canada are looking to back promising ventures overseas," says Josh. "People are looking to do more than just give a small donation. They want to invest in communities overseas by helping grow businesses, and employ workers." The fund will help close the gap for the co-called 'missing middle', acting as a bridge between small micro-credit loans and larger bank loans. Donations would start in the thousands, and combined with training for business owners, elevate a venture to the point where bank loans would be possible. The benefit? Not only would the Canadian investor receive a return on their funds, they would be backing the kind of company that lifts entire communities, employing many workers and fueling local economies. This approach is already working, in countries around the world. 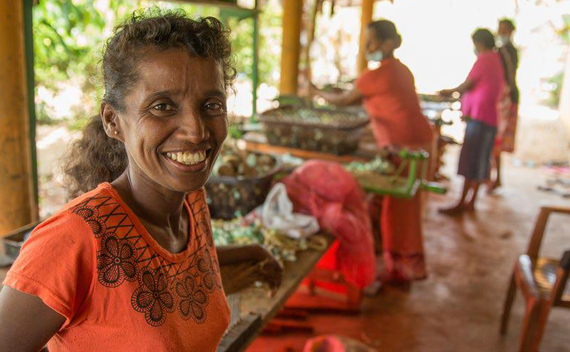 World Vision Australia shares the story of Janaki, in Sri Lanka. Her brush-making business had grown as much as it could on micro-finance loans alone. Janaki clearly had a head for business. She could envision what her little company could become, if only she had more capital to work with. "I realized if I bought the materials on my own, I could make a much better profit," she said. Better profit would mean more jobs for other workers. It seemed like a no-brainer, both for Janaki, and for her community -- if only she could secure the funds to expand and buy local. "I needed to take a loan, to continue my business forward," she said. But without hard collateral or formal credit history, Janaki was too high-risk for a loan from most banks. Janaki's story would resonate with thousands small and medium business owners across the developing world -- entrepreneurs with good ideas and a strong work ethic who are nonetheless stuck at the side of the road. Since Janaki's credit record with microloans was good, World Vision provided her with a much larger loan than she had before. They worked with her on a business plan, and provided training. With extra income to expand her company, Janaki is on track to raise incomes across her community, by buying more local materials. And the products that Janaki and her 35 employees produce can now even reach international markets. As Janaki receives an income, so do the women who work with her. Their families and children grow up in a better environment. For the businesswoman, this is a tremendous return on investment. "Knowing that the workers can provide for their children makes me very happy," says Janaki, of the contribution she's made to her community. And I'm willing to bet that Canadian accredited investors who give to the Small and Growing Business Fund will feel exactly the same way.